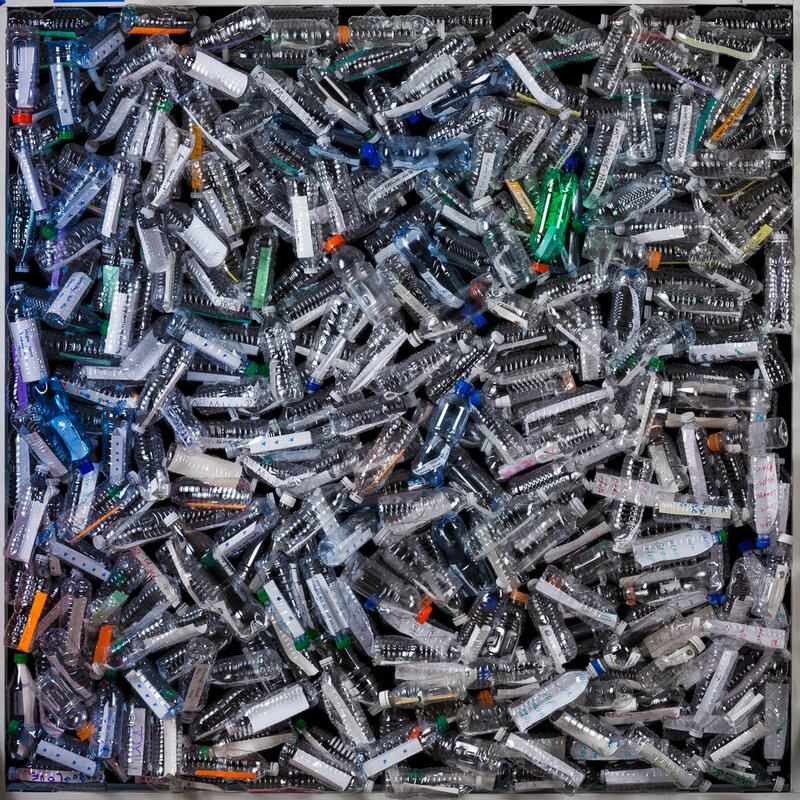 Jacksonville artist and native Doug Eng presented to the public his 170’-long public art installation, “Message in a Bottle: Wall of Light” during the First Wednesday ArtWalk on May 2, 2012, in Main Street Park. 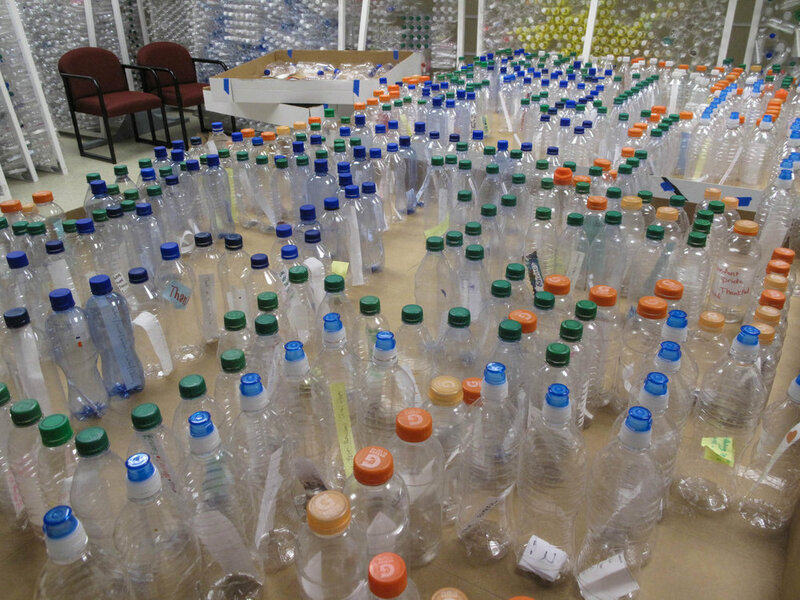 The lighted wall was made up of more than 15,000 water bottles which contained five-word messages and phrases from First Coast citizens expressing gratitude to U.S. Troops serving in war zones. The lighted structure was comprised of 28 – 6’ by 6’ free-standing panels, each featuring a distinctly different design. The wall was displayed for approximately one month, and was featured at its location in Main Street Park during the Jacksonville Jazz Festival. 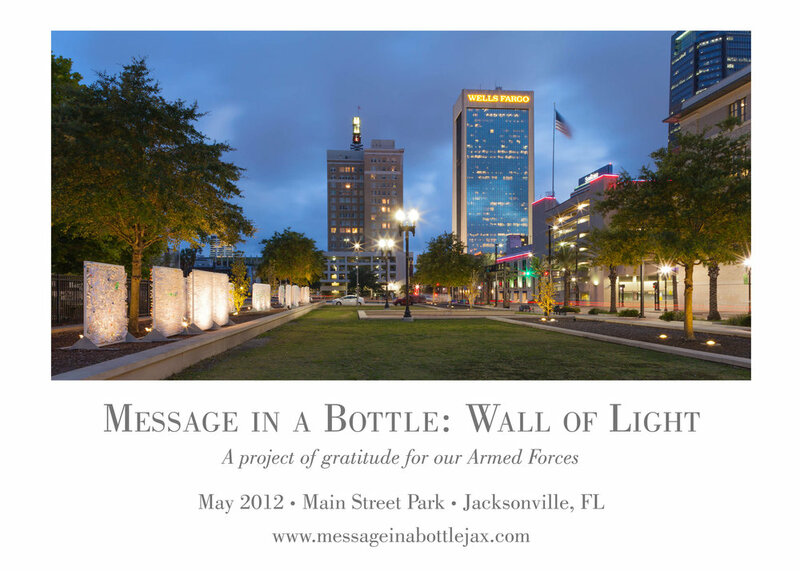 All of the messages and the story of the project are documented on the project website www.messageinabottlejax.com.